2016 Toyota Avensis 2.0 D-4D review | What Car? The Toyota Avensis is at that stage in its life where tweaks are necessary to help it keep up with newer, bigger-name rivals, so Toyota has gone through it with a fine-tooth comb to bring it up to date. On the outside, there's a fresh grille, lights and a few other changes. Inside, there’s a new deisgn and more equipment. Safety is better, too, because all models receive autonomous emergency braking. As you might expect, there’s a strong focus on improving economy and emissions. A petrol engine is available but the new 1.6 and 2.0-litre diesels are going to be the popular choices. It’s the latter unit we’re looking at here. What is the 2016 Toyota Avensis 2.0 D-4D like to drive? This 2.0-litre diesel engine replaces the old 2.2-litre unit; at 141bhp, it's slightly less powerful, and it's slower against the clock, but emissions are down to 119g/km and claimed average economy is 62.8mpg. The good news is that the new engine is a much more flexible unit than its predecessor. This is a blessing because you'll want to kep the revs below 3000rpm to avoid the excess off noise and clatter that prevails thereafter. Despite increased sound insulation, refinement is still behind the class best. Even at idle and low engine speeds, there’s still noticeable vibration coming through the pedals and steering wheel. At least things settle down on a motorway cruise, when the engine becomes fairly hushed. Comfort is generally good thanks to compliant suspension that’s able to soak up the majority of imperfections. At times it does feel a little too soft, with plenty of body-lean through bends, and larger bumps can also cause quite a bit of pitch and wallow. This is most definitely a car that’s happiest cruising on the motorway, so keen drivers should look elsewhere. What is the 2016 Toyota Avensis 2.0 D-4D like inside? While it may not be quite as roomy as a Ford Mondeo and certainly not a Skoda Superb, the Avensis still provides plenty of room for passengers. Up front there’s plenty of adjustment for the steering wheel and seat including adjustable lumbar support on all but entry-level Active models. Moving to the rear, adults will find there’s a decent amount of leg and headroom, while the flat floor makes carrying a passenger in the centre much easier. The boot is a good size at 509 litres, however the saloon body inevitably means that access is more restricted than on hatchback rivals such as the Ford Mondeo and Skoda Superb. Although the dashboard has received a comprehensive makeover, it still feels some way behind the likes of the Skoda Superb or Volkswagen Passat. While all the controls fall readily to hand, some of the plastics feel cheap, and the buttons and dials don’t operate with the same level of precision. The infotainment system also has its issues. Some of the menu layouts can be quite confusing, there's noticeable lag before the screen responds occasionally, and the graphics look dated. At least this Bluetooth-enabled infotainment system (including sat-nav), climate control, part-Alcantara seats, auto lights and wipers plus a rear view camera is standard on Business Edition trim, which is the cheapest trim you can go for with this engine, and the one we'd recommend. 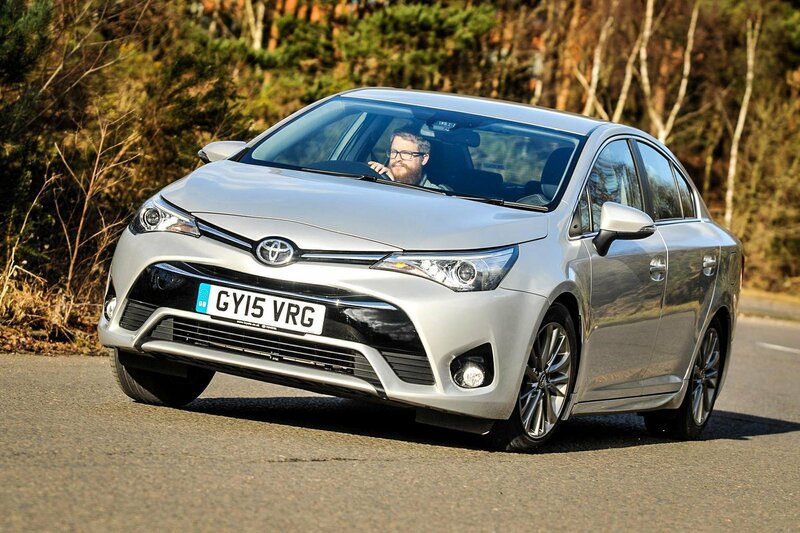 The Avensis has plenty of appealing features. Toyota always performs well in our reliability surveys, there’s a five-year, 100,000-mile warranty and you get plenty of space and equipment. Unfortunately, it still feels some way behind the class best. It may be spacious, but the saloon body hurts practicality, while a Skoda Superb offers significantly more space for the money. Not only is it roomier, official figures suggest it’ll be less thirsty and emit less CO2 as well. With that in mind, the Skoda is where we’d put our money.